The top quarterbacks of the HBCU Gameday Era. As HBCU Gameday celebrates its sixth anniversary, we look back on the players, coaches and moments that have helped shape its tenure and build the foundation. Let’s start with the signal-callers, the quarterbacks. Below is a list of the best HBCU quarterbacks every year of the Gameday Era. Smith came to Winston-Salem State as a transfer that Navy had attempted to move to receiver. New head coach Connell Maynor put him back at quarterback, and he promptly paid dividens, helping WSSU beat A&T and NCCU before going 8-2 in 2010. He improved almost game-by-game and by 2012 both he and WSSU were ready to explode on to the national scene. Smith obliterated all WSSU’s passing records, throwing for 3,312 yards and 43 touchdowns to just 11 interceptions during his senior season despite sitting out the second half of several games. He helped leading WSSU to the D2 National Title Game in 2012 and is currently an assistant under Maynor at Hampton. Like Smith, Joseph got better every year during his time in Baton Rouge. After throwing for 25 touchdowns and just seven interceptions as a junior in 2012 he went for 30 touchdowns as a senior, combining with receiver Lee Doss to lead SU to the SWAC Championship to cap off his stellar career. McGhee was a one-man-show on offense for the last two years of his career (2013-14), and there’s no doubt his completion percentage (56.4) and touchdowns (49) suffered because of it. His lack of weapons also resulted in him having to run the ball more, and as a result he rushed for over 1,700 yards and 16 touchdowns over his last two years. He went out as co-MEAC Offensive Player of The Year as a senior in 2014, rushing for over 847 yards and 13 touchdowns while throwing for 15 more. Williams was the low man on the totem pole during Grambling’s 2013 season, by 2015 Williams was leading Broderick Fobbs’ high-flying offense with a crew of weapons that included three future pro receivers in Chester Rogers, Chad Williams and Verlon Hunter. Williams threw for 36 touchdowns and led the Grambling to a win in the Bayou Classic and a SWAC title game appearance. Talk about the rich getting richer! Grambling plugged the former Ole Miss quarterback right in after Williams departure and didn’t miss a beat. Kincade led Grambling to a 10-1 record, including the SWAC title and Celebration Bowl, while throwing for 31 touchdowns and tossing just four picks and being the best example of a player advocating for talented student-athletes to consider HBCUs. The only question now is what will he do for an encore? 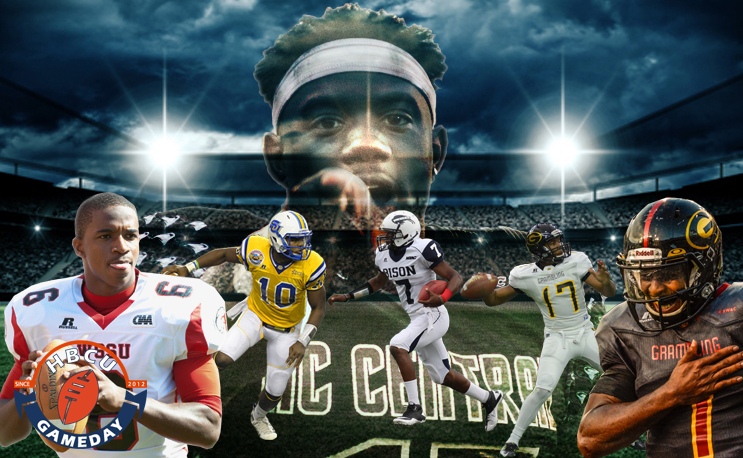 In terms of overall quarterback play, 2017 might have been the best year in HBCU football since we’ve been around. Lamar Raynard led North Carolina A&T to a perfect season as a junior, throwing for just under 3,000 yards, which would have been enough to win every award most years.Kincade had another spectacular year, throwing for 23 touchdowns to just four interceptions while leading Grambling to a second-straight SWAC title. But Hall was simply dominant in his second season as a starter, throwing for 41 touchdowns while topping the 3,500 yard mark in the air again on the ground and rushing for nine touchdowns. It was truly a season to remember as he took home our first-ever National Offensive Player of the Year award. Bell’s career spans the entire Gameday Era as he came to NCCU in 2012 as a freshman recruit by former coach Henry Frazier. After a redshirt season in which he saw the field occasionally as a redshirt freshman the following year, Bell would help lead NCCU to a 21-3 record in the MEAC under coach Jerry Mack, including three consecutive wins over rival North Carolina A&T. While he never put up the best statistics in HBCU football during his time, no one made more big plays in big games over a longer amount of time than the Richmond, VA native. Two of those titles would eventually be stripped from NCCU but Bell completed his degree and his legacy remains intact.